Looking for ideas for cheap homemade Halloween costumes for kids? You are not alone! Where I live store-bought Halloween costumes can run anywhere from $25 to $50 each. With 4 kids, it doesn’t make financial sense to buy Halloween costumes. I just can’t stomach the thought of dropping $200 for costumes they will wear for only one day. So for some time now, I have made Halloween costumes for my kids. It has saved us quite a bit of money over the years. Sometimes the costumes are more elaborate than others, but they are always inexpensive and fun to make. ✅ No time to check out these frugal Halloween costume ideas now? Click here to pin this for later! If you are looking for ideas for cheap homemade Halloween costumes for kids, you literally can’t get much less expensive than this one! With a little spray paint and some duct tape, we transformed a shipping box into a cute box of popcorn costume for my oldest daughter. We had the spray paint and hat. 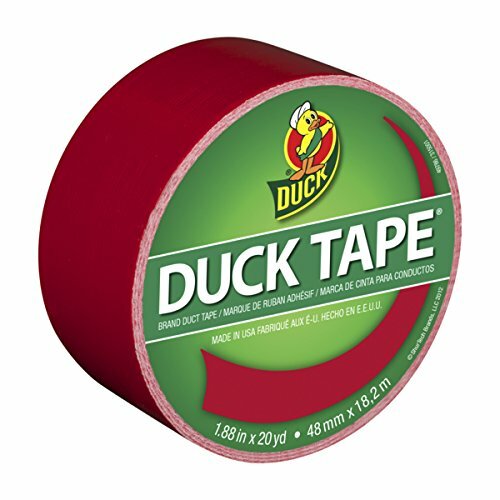 So our only cost was for the red duct tape. The costume cost us less than $3! Even if you had to buy the hat, spray paint, and duct tape, you could still make this costume for less than $10 (even less if you check out your local Dollar Store). Want to make this Box of Popcorn Halloween costume for your child? Start by finding a box that will fit your child. If you ask around at local stores, you can probably get the box for free. Tape the top of the box closed and remove the bottom flaps from the box entirely. Cut some armholes and a hole for their head. Make sure you try it on your child to make sure it fits before you start decorating the box. I think this one was the least expensive Halloween costume I ever made one of my kids. This Mad Scientist costume for my son cost me just $1. That was for the glow stick I put in his pocket. I was able to get that at the Dollar Store near their party supplies. To achieve the mad scientist look, I started with an old lab coat leftover from my hospital internship. (If you don’t have one on hand, you might be able to find one at a thrift store or rummage sale.) I added a pair of heavy duty rubber gloves that we keep in our garage. We stuck a piece of foam and a glow stick in his pocket to look like a chemistry experiment gone bad. To complete the look, I used mousse to make his hair stick up at funny angles and smudged brown eye shadow all over his face to give that “I just survived an explosion in my lab” look. If you sew, keep an eye out for pattern sales at your local fabric store. I was able to get the pattern for this adorable Little Red Riding Hood Cape for $1 on sale. 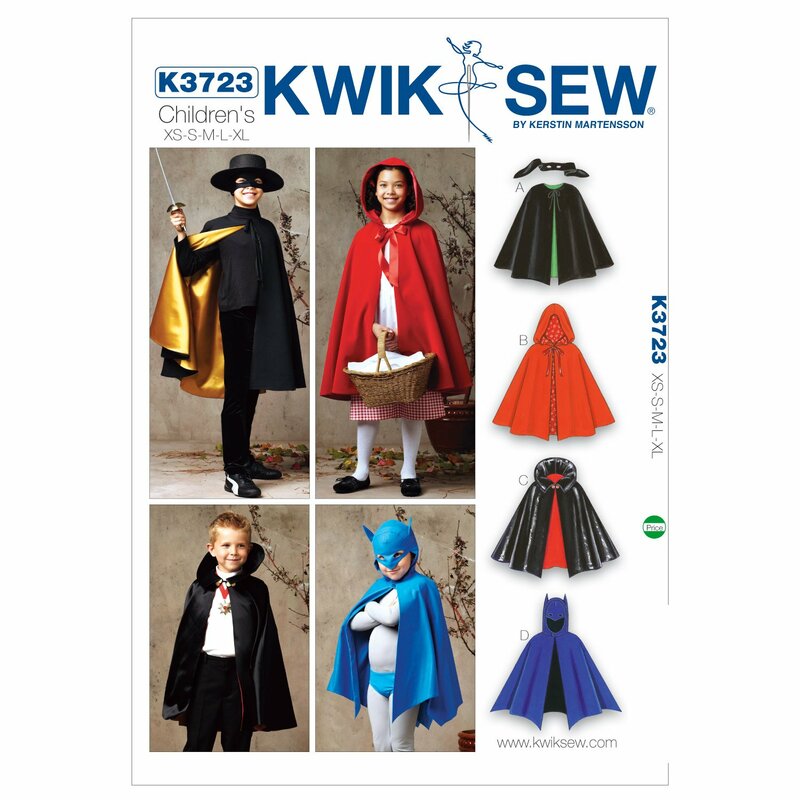 A cape sewing pattern is so versatile to have on hand for cheap homemade Halloween costumes for kids. You can use a cape as the foundation for so many easy costumes – like a witch or wizard, Batman (or Batgirl), a vampire, a superhero, and much more. All you have to do is change up the fabric and decorations. For my youngest daughter’s Red Riding Hood costume, I made a cape from inexpensive red fabric. There’s no need to use higher quality fabric for a Halloween costume. Everything else we had – a basket, a scrap of red gingham fabric, and red ribbons for her braids. By using things we already had for the rest of the costume, the whole thing cost less than $5. Want to make this Leaf Pile costume for your child? Start with a matching sweat shirt (with hood) and sweat pants from your local discount store or thrift shop. 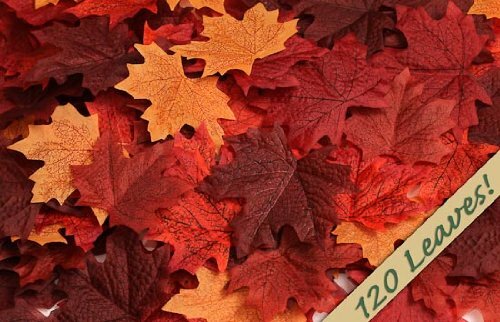 You don’t want anything too expensive – you are going to be hot gluing leaves all over it. If I remember correctly, all we could find was white for the shirt and pants. It really would have looked better with black, brown, or green though. Pick up a leaf garland or a bag of individual leaves at your local craft store. Hot glue leaves all over the pants, shirt, and hood, filling in all the space. This will be a bit time-consuming, but the end result will be worth it. Add a small plastic rake to complete the effect. Here is another idea for a Halloween costume that starts with a box. My son loved Legos when he was little, so it was only fitting that one year he went as a Lego block. It was simple to put together and turned out so cute. Our only cost was $4 for the spray paint because we already had plastic cups on hand. Want to make this Lego Block costume for your child? Start by finding a large box that will fit your child. Cut the bottom out to make it easier for your child to get the costume on and off. Cut holes for the head and arms, trying it on and making any adjustments before proceeding. Spray paint the box in the Lego color of your choice. Blue and red will be easiest if you don’t want to have to paint the Solo cups too. Use hot glue to attach plastic cups. These frugal Halloween costume ideas are proof positive you don’t have to spend a fortune to dress up for Halloween. Get your kids involved in making the costumes and it can be a fun time for the whole family. Want to make Halloween costumes for your kids this year? We get a lot of our ideas from Family Fun magazine. 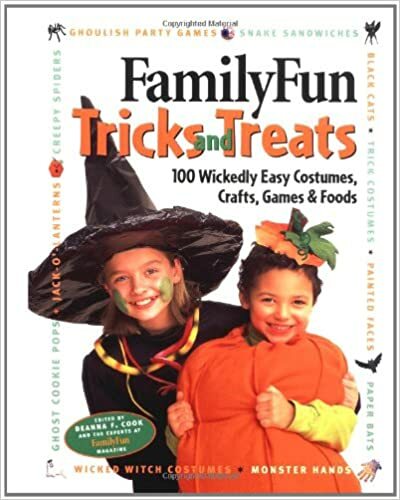 Your local library may have some costume idea books as well. While you are here, be sure to check out the rest of my Halloween crafts. So tell me… So what are your kids wearing for Halloween this year? If you have any ideas for cheap homemade Halloween costumes for kids, be sure to leave a comment. DIY costumes are my favorite, and I love the options you show! These are some AMAZING ideas! I love the popcorn container one the most! Hi Jen! Great inexpensive DIY Halloween Costumes. Those are the best kind! Thanks for joining our Halloween Blog Hop!